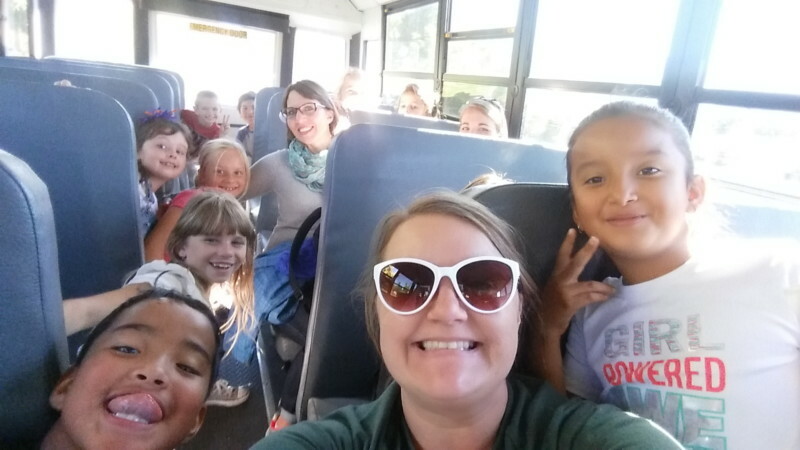 Class field trips are not funded by the schools and the parents cannot be asked for a fee to send the kids on a field trip. The responsibility belongs to the Parent Teacher Organizations, their fundraising abilities, and in this case, a determined classmate. Learning on field trips is both a left brain and right brain experience. These lessons learned on both sides of the brain will be easily remembered. Joslyn Maurer participated in the Stampede Community Festival Horse program through Gold Buckle Champion. The goal of this program is to teach children creativity, problem-solving and getting involved in their “Community”. The horse she painted was her interpretation of patriotism and she hoped to win and take her class on a field trip. Her horse won 2nd place in the contest with $300 cash going to her project. This was enough money to send all three Ronald Reagan Elementary 2nd grade classes to the Botanical Gardens.